The mandatory Roar Before The Rolex 24 Hours test at Daytona International Speedway from tomorrow will see 55 cars entered though the current provisional entry will progressively be further poulated with very many of the remaining TBDs set to be filled, and many of the gaps already known to already have names in the frame. It’s a 12 car entry for the top Prototype class with seven DPis and a quintet of Gibson powered LMP2s. Mazda Racing have revealed their full season line-ups for the 2017 IMSA Weathertech Sportscar Championship plus the two men bolstering the effort for the 2017 Rolex 24 Hours of Daytona in the pair of Speedsource run Mazda RT24P DPis. The #55 Mazda will see the return of Tristan Nunez and Jonathan Bomarito, the full season pair set to be joined by IndyCar racer Spencer Pigot. The sister #70 Mazda sees Tom Long and Joel Miller fill the full season seats with twinkle toed IndyCar star James Hinchcliffe in action at Daytona, the single seater star renewing a long association with the Mazda marque at the Rolex 24 Hours. 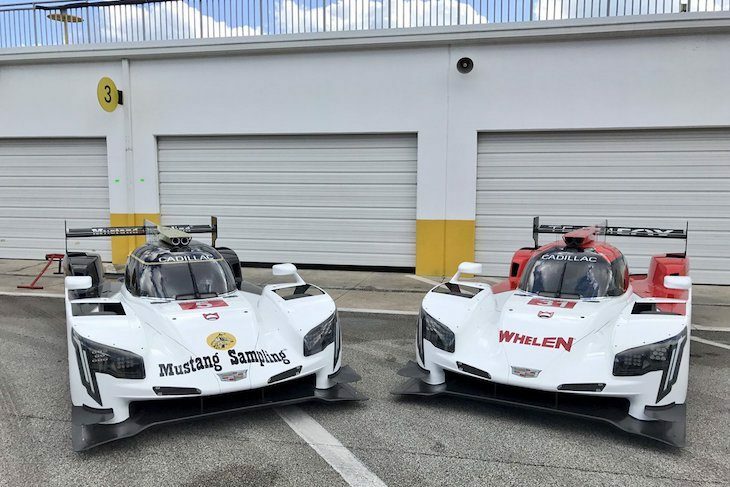 The pair of Nissan Turbo powered Ligier DPis will make their public debuts at the Roar, the last of the three different DPis to do so after the Cadillac and Mazda efforts ran at the December Daytona test. 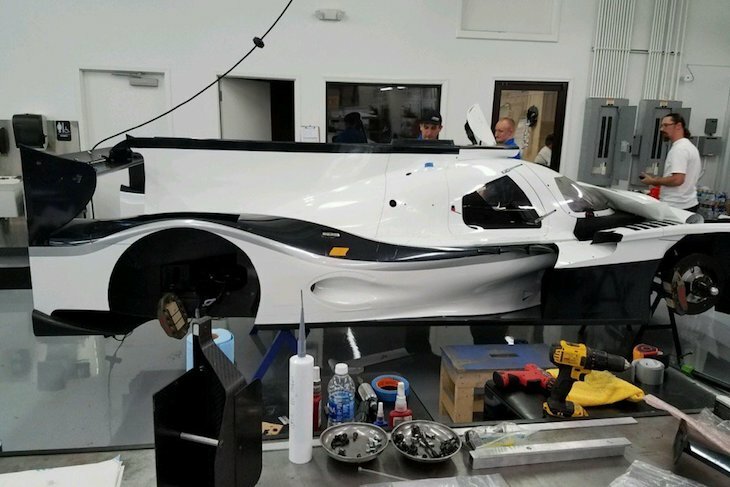 Dragonspeed will debut their Gibson powered Oreca 07 at the Roar with their full season trio of drivers all due to run. Both of the team’s 2017 Orecas are now in the USA with the team opting to run their 2016 chassis now fully upgraded to 07 spec at Daytona, the brand new 07 effectively here as a source of spares. 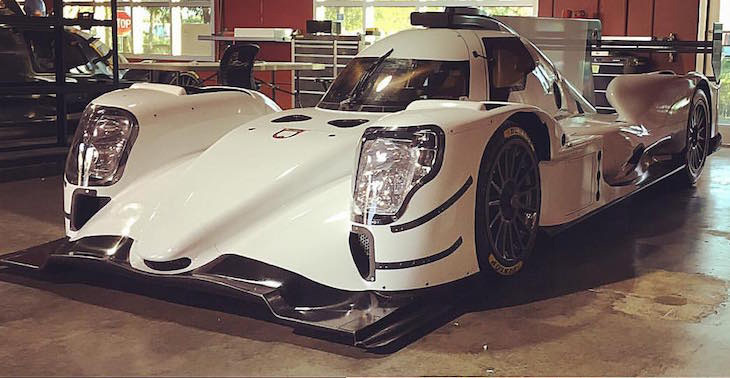 Rebellion’s solo Oreca entry is another making its public debut, one of a trio of Oreca 07s that will run at the test and in the race proper – this car bound for a run at the four race NAEC Endure season. The sole Gibson engined Ligier JS P217 on the entry debuts in public too with the four man Daytona crew now confirmed. 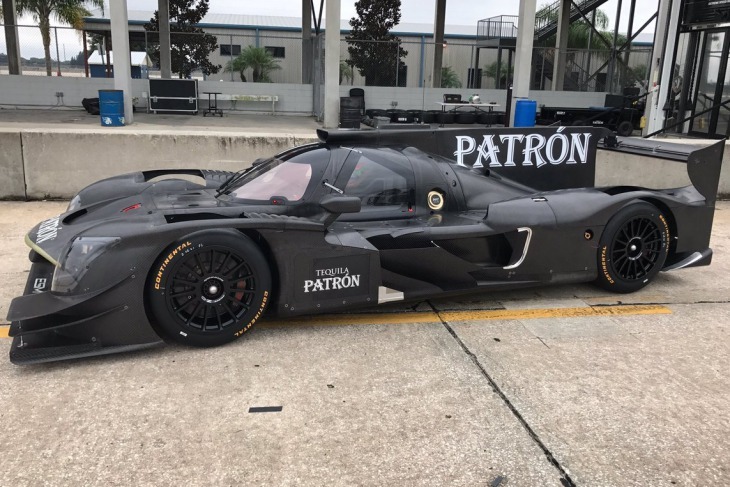 IndyCar racer RC Enerson will join Tequila Patron North American Endurance Cup drivers Mike Gausch, José Gutierrez and Tom Kimber-Smith. 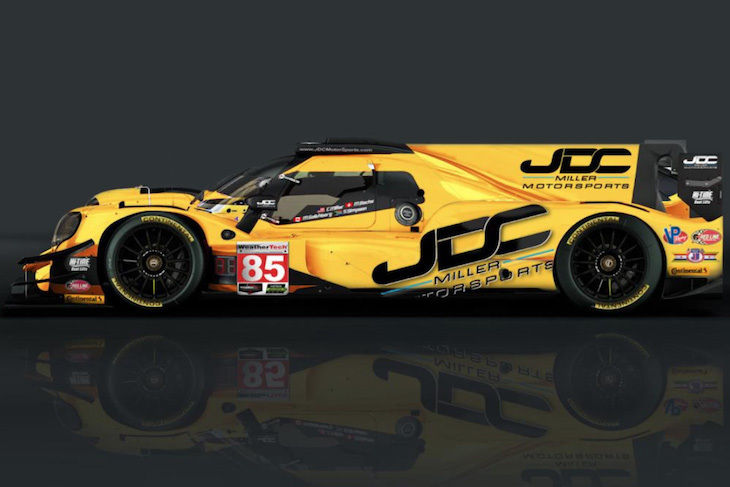 The third debuting Oreca 07 Gibson is the only full season IMSA Oreca Coupe – Mathias Beche was confirmed over the Christmas break as joining JDC-Miller regulars Misha Goikhberg, Chris Miller and Stephen Simpson. 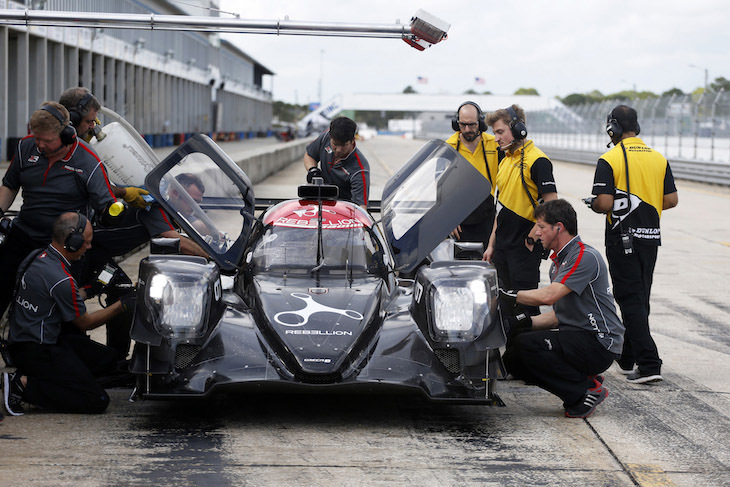 BoP for the new LMP2s, and their kissing cousin DPis is a brave new world and IMSA have made it clear that they intend to take a rather different track than normal. Essentially this will see the DPI’s balanced up or down to the fastest of the Gibson engined chassis. That means that there is unlikely to be much (if any) massaging of the Gibson powered cars, Unless something surprising emerges from the test! It means, for example, that if a Ligier JS P217-Gibson tops the WEC P2 cars at this week’s Roar Before the 24 test, adjustments will be made to dial the Cadillacs, Mazdas and Nissans up or down to match the Ligier as best as possible heading into the Rolex 24 at Daytona. It marks two basic principles at play, a wish to ensure that the DPis are as close as possible to each other on performance, and a move to ensure that the recently rocky relationship with the FIA and ACO is soothed by respecting the standing agreement not to mess with the ‘no performance balancing of the LMP2s’ stance. That though may change if one or another LMP2 proves to be struggling in aero terms on the high banking of Daytona, both pace and safety in full focus at the dawn of this new age in LMP2! 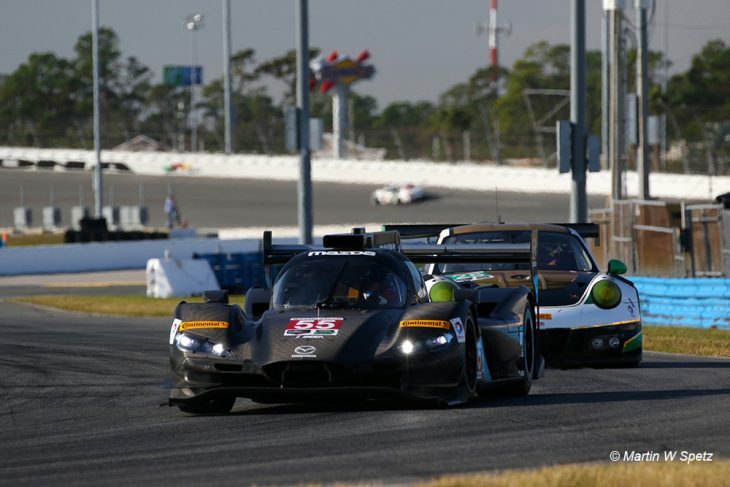 The entry for the final appearance of the PC class Orecas at the Rolex 24 Hours has grown to five with two car entries from both BAR1 and Starworks and a single car from Performance Tech, this the likely high water mark for the season as several previous entrants have moved on from the one make FLM 09. PR1/Mathiasen Motorports and JDC-Miller Motorports have both stepped up with LMP2 machinery into the Prototype class whilst CORE autosport have opted instead to move to GT Daytona. BAR1 bring a pair of PCs to the test and the race with Don Yount joined by 2004 Indy 500 winner Buddy Rice in the #20 car for the full IMSA season – The full season duo are joined by Mark Kvamme, Chapman Ducote and Gustavo Yacaman for Daytona. The sister #26 car sees the Tom Jones of sportscar racing Johnny Mowlem emerge immediately from retirement after Petit Le Mans, joined by regular driving partner Tom Papadopoulos plus Adam Merzon and Trent Hindman. Performance Tech field a solo effort for the returning James French, 2016 Prototype Lites Champion Clark Toppe, plus Patricio O’Ward and another ex Prototype Lites driver, Kyle Masson. Whilst the team’s P2 plans are parked at present Peter Baron has once again rummaged about in his top hat and produced a pair of PC Orecas. The only surprise here would be if Baron doesn’t produce surprises on the driver front! Ben Keating is named aboard the #8 car for the test alongside John Falb, Keating then named in both his new AMG GT3 in GTD and in PC, more Prototype running ahead of whatever programme emerges for his Riley Multimatic LMP2 car?